The price for the interface and blanking kit is Â£499 delivered including EGR off patch and remap. You will need to blank off your own egr valves and remove the inlet butterfly valve. We blank the EGR valves and remove the inlet butterfly valve. isnÂ´t there a little info pending regarding the dpf ...? Choice of map files available. All with EGR's switched off if required. Can I ask lrserviceandrepair about the interface, is is similar to the BAS unit, does it have the ability to clear basic faults as we'll? Syd's question posted a month ago has not been answered. A few photos of your unit would be good. It would also to be good to hear from a few subscribers to the forum of their experience of this product. We are currently working a new eCommerce site to enable purchases online from abroad etc. The interface used is a Powergate 3. It was an absolute pleasure to meet you guys today. 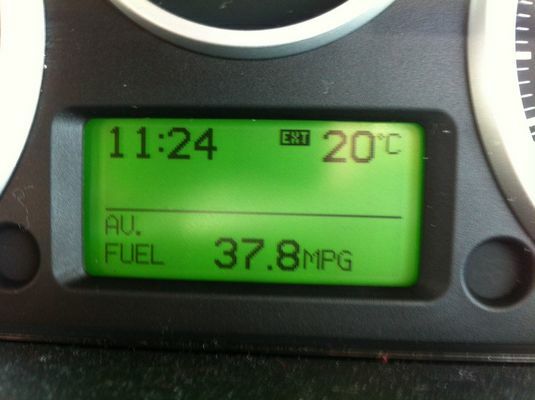 I am very happy with the increased performance and pretty surprised at the fuel consumption I achieved on the way back! For reference, I asked for the 50/50 map and blanking of the EGR's. I am one very happy customer. But no information about improvement in torque & bhp. Fuel consumption information from the Discos screen is pretty useless - to be meaningful it needs to be from brimmed to brimmed, over a decent distance. Before even starting one needs to allow for the rolling radius of one's tyres, if one is not using OEM tyres. Still awaiting more information - Syd I hope the above answers some of your questions. For reference, I have OEM tyres, and I travelled nearly 120 miles from York back to Market Harborough. I am not affiliated to these guys, I had problems with one of my EGR's, I wanted a permanent solution so opted to try them. I did fill the Disco, and once empty and refilled, I too am keen to see the outturn.